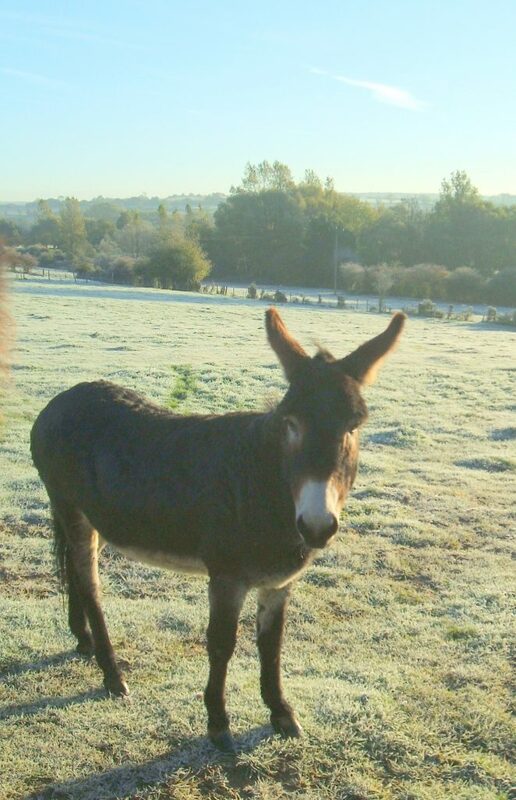 Lily came to the NEDDI sanctuary from a very loving home, but she was living in the back garden and getting very bored and fractious and was behaving very badly, which is only natural for a young donkey who needs space and companionship. Her life was about to get even more difficult when her family's circumstances changed for the worse, so it was looking really bad for her. 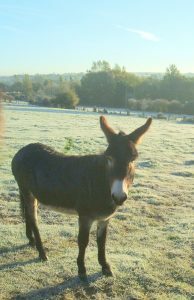 Donkeys in France who are sold to unknown people often face a very uncertain future and her owner was terrified as to what might happen to her. She was born in 2002 so is still quite young and loves being with the NEDDI herd, even if she is still a bit bumptious! She has a very curly coat which gets very thick and warm each winter. She also enjoys having a good roll in the mud, which is not a terribly good combination with her curly coat, but she loves it like that, so we assume she is the best judge!